Welcome to Totus Tuus Christian Counseling. We’re glad you stopped by. Have you been looking for a counseling practice that is right for your child or adolescent teen? At Totus Tuus Christian Counseling we know how difficult and confusing that process can be. For us, its about getting kids the support they need without creating unnecessary stress or tension. Our practice grew from the ministry with which God has entrusted us to serve the young people of our community. 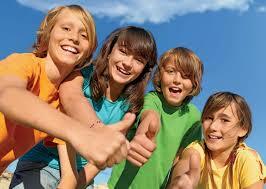 We understand that children and adolescents experience and communicate emotional distress differently. They may struggle socially, seem depressed, have difficulty learning, and act aggressively toward others. They may even turn to drugs and alcohol, resort to self-harm, or develop negative beliefs and feelings about themselves. Therapy can be effective when problems do not resolve with time and support from parents, teachers, or friends. How Do We Begin? The process for assessment and evaluation of your child varies depending on their age. During the initial Intake Session, information is gathered from the parent and teen about their reason for seeking help. The counselor uses this information to determine your child’s appropriate treatment needs and goals. Specific therapy is then customized to meet your child’s unique needs and goals. Kids And Parents Working Together. Remember, kids do not live in a vacuum. 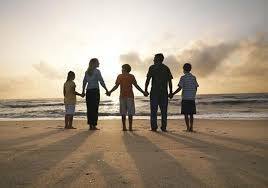 Therefore, we approach therapy as a collaborative process with parents. This process often involves regularly scheduled parent meetings. Of course, as teens approach adolescence, parent involvement typically decreases in order for the teenager to build a relationship with their counselor grounded in trust and safety. Sometimes You Notice Changes. If you have noticed changes in your child’s behavior such as inattention, arguing, withdrawing, or emotional issues such as depression, anger, worry or excess stress and you think you might need help, therapy may be a good resource. Contact Us. Please contact Totus Tuus Christian Counseling to schedule an appointment or if you simply have questions about how we might be able to help.